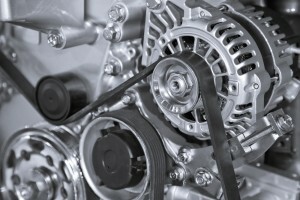 Timing belt replacement is the “must-do” service operation which every car owner should know about. Your timing belt should be replaced every 50-70,000 miles. On an interference engine, the valves and piston share the same air space. They never touch, unless your timing belt breaks or skips, and this is a catastrophic failure that requires removing the head and replacing bent valves. Non-interference engines do not risk this contact if the timing belt goes. Nonetheless, it either can leave you stranded or cause major engine damage so regular timing belt replacement is very important.